Rosewood finish desk stand. Solid desk plate holder. Can be fitted with either Metal or Acrylic plates. 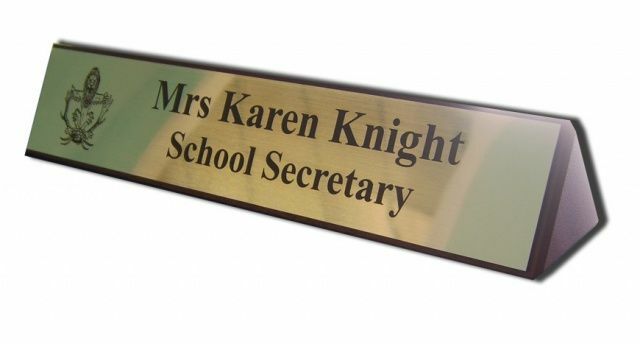 Price includes engraving, size 200mm by 45mm. The Metal can be gold or silver in either brushed or shinny, the acrylic is shinny gold with black backing or brushed silver with black backing.